Membership Directory Businesses Starting with "G"
Landscape Contracting. Design, Build and Maintenance Services. Efficient Landscape Lighting, Water Features, Efficient Irrigation Systems/Retrofits. Today, Grace Resources, Inc. touches the lives of over 15,000 people each month by meeting real needs with a touch of Grace. Our vision is to empower people to thrive, not just survive, through training, education, food, clothing, shelter, and medical care. 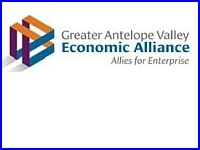 The Greater Antelope Valley Economic Alliance, or simply The Alliance, is the public/private partnership that facilitates business growth and opportunity within our 3000 square-mile region. We serve as allies for enterprise, helping you chart the best course towards finding success and new prosperity here. Take time to discover the amazing opportunities found along Southern California’s Leading Edge. Call (661) 722-6566 to arrange a personal tour.